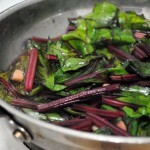 When I saw beet greens at the shuq I knew I had to have them. 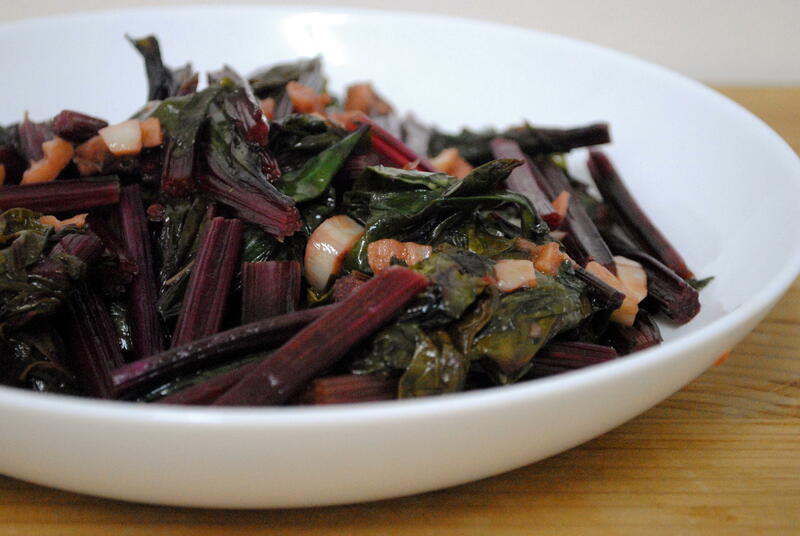 Even though at first I thought they were chard. Either way, I’ve been craving me some leafy greens. One of my favorite ways to cook hearty leaves like this is to quickly braise them (I know, a bit of an oxymoron) in broth and some balsamic vinegar. With lots of garlic. Decide for yourself where on the scale of raw to creamed greens you like, and stop cooking at that point. 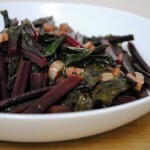 This is an easy side dish for any meal. 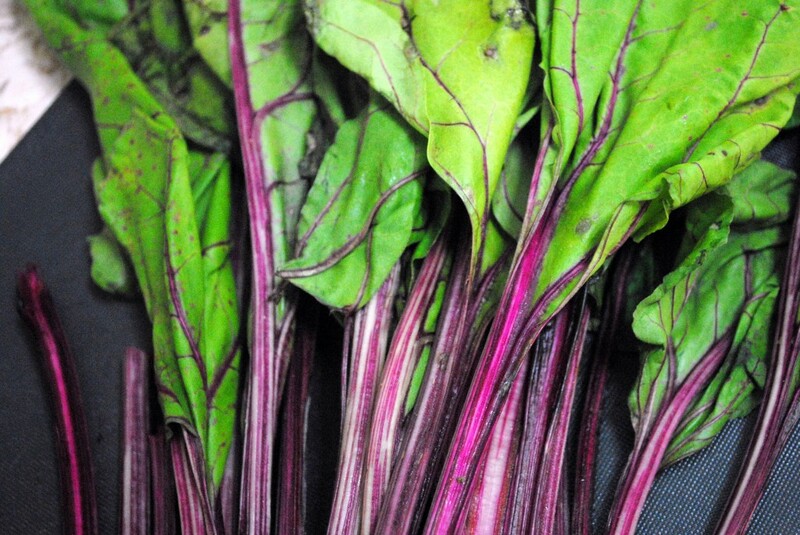 And while other greens like chard can be substituted, beet greens are particularly flavorful. Saute the garlic in the olive oil. 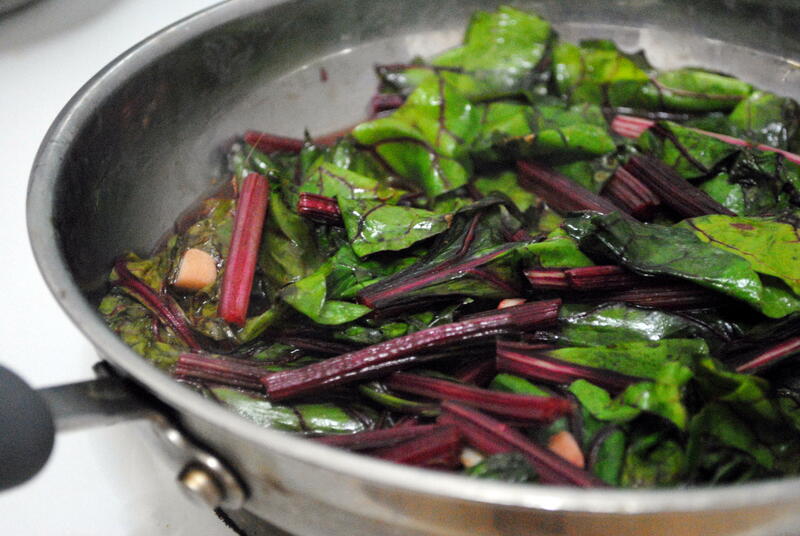 Add the beet greens and stems and saute until slightly wilted. Stir in the balsamic vinegar, then the broth. Cook, uncovered, until the liquid has mostly evaporated or the greens are the texture you like. Season with salt and pepper and serve immediately.